Beach Flora ! Oceanic & Valley view N.A. 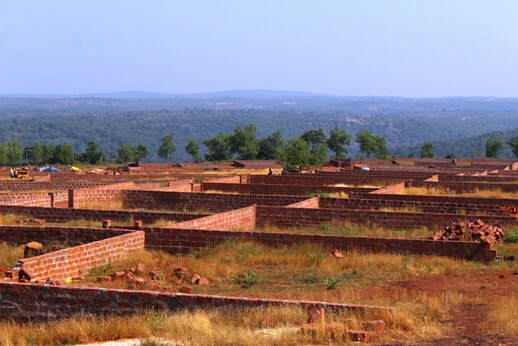 land Plots in Ganpatipule. Have you ever wondered to have a second home in Kokan? But might be wary of the legal title and high land prices in Konkan near beaches. Beach Flora is an ambitious project of Godbole Properties, a trusted name in Real Estate with expertise of over a decade. 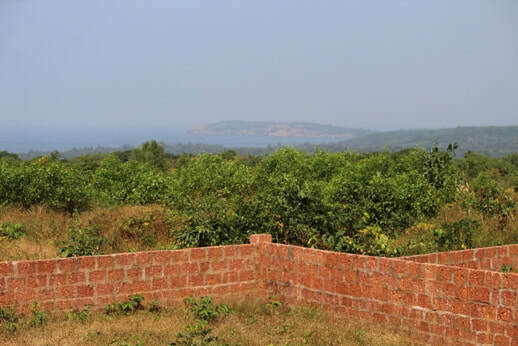 Beach Flora is spread across 18 acres in Ganpatipule, Ratnagiri, Maharashtra. In the first phase of 7.5 acres Beach Flora offers Collector approved N.A. (Non-Agricultural) plots at affordable price. Ganpatipule was a small village few years back but now developing towards a thriving town because it is a famous tourist and religious destination. There is a direct relation between tourism and real estate prices. As tourism in a region grows, so does the property market. Buying property near a religious tourism destination has its set of benefits because religion is never affected by slowdown. for e.g. Shirdi, Tirupati, Haridwar etc. the demand never goes down and property prices get appreciated very frequently as well. WIN 2 DAYS 1 NIGHT FREE STAY IN GANPATIPULE. FRIENDS, just leave a nice comment in the comment box on this sea view from Beach Flora. Best comment will win 2 days 1 night free stay 2 persons in Ganpatipule. If you have questions about affordability, loan, legal matters, or income, trust us to find you what you need fast. We make sure you feel confident and educated every step of the way. Buying an independent land means sovereign choice to build a house depending on one‘s own requirement and constraints. While investing in a plot may not offer tax benefits, capital appreciation is the key. Land prices appreciate and more so when the location is closer to already thriving cities and tourist destinations. Enjoy your holidays and vacations in your own getaway second home and save on hotel and lodging costs. Investing in real estate is always beneficial as it grows better than any other investment and gets carried forward for generations together. Why Investment in N.A. Land gives more returns? Land is always in great demand. The value normally appreciates immediately due to zero depreciation on land. With space availability vanishing quickly in every city, it is expected to appreciate very quickly. Land investments are often highly profitable, they always increase in value over time. It is said that the rate of return of investment of a land in a growing area can be 20% appreciation per year. Flexibility of option to build as per future requirement helps the cost of land and property to increases very fast. If invested in proper government approved project. Investment in N.A. land is safe as it is government endorsed and can be bought and sold to anyone without being a farmer. It is Low investment, low risk, low liquidity, high return on investment. It requires negligible time and money to care for, easy to maintain and negotiate. ​Real estate investments is considered to be long term, generally from 5 years onward to enter the range of very profitable or profitability. It is an investment will increase over time, without further effort. ​House of Wax Museum 0.5 km. Prachin Konkan Museum 2.5 km. Want to visit the site? Ratnagiri railway station 28 Km. We would be happy to receive you at Ratnagiri railway station. Please contact us and confirm your travel plans. There's much to see live on the site. So, take out some time,to look around, and learn all there is to know about the location and us. ​Take a moment to drop us a line.